A few days ago, scientists at the Paul-Ehrlich-Institut announced that they have successfully created an oncolytic virus that attacks and kills cancer stem cells that are CD133-positive. CD133 is a protein found in many different tumour-promoting stem cells. The study is very promising as the new virus showed equal, and in some cases superior, anti-cancer activity to the currently available oncolytic viruses. Among other, tumours also contain cancer stem cells (CSCs). 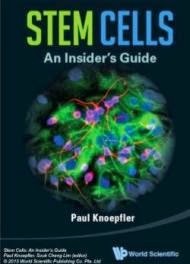 Cancer stem cells usually respond very poorly to chemotherapy and radiation and this is why there is always a high chance of cancer recurrence. Cancer stem cells are also the main culprit behind cancer metastasis. This is why a lot of researchers try to find new ways for identifying, attacking and killing them more efficiently. "We were surprised that the CD133-specific virus showed an anti-tumoural activity which was at least as good as that of the standard virus. In the liver cancer model, the anti-tumoural activity was clearly superior and led to complete tumour remission"
It should be mentioned that the CD133 protein is also present on the surface of Hematopoietic stem cells (HSCs). But during the study, the HSCs remained unaffected by the CD133 virus. This is due to the fact that hematopoietic stem cells have a natural resistance against measles viruses.